​Welcome to Rock Hill Lawn Pros, the best lawn service in Rock Hill, SC! We're glad you found us. We love helping the homes in Rock Hill and the surrounding areas look their best. We take pride in helping you keep your yard looking great! Plain and simple, we cut grass, we weed eat and we edge your yard. After we make a mess, we clean it all up and then you have the polished, manicured yard that you've always wanted. We work hard to keep your yard looking great! We'll get more technical with all the proper wording in the paragraphs that follow, but what we really want you to know is that we love a beautiful lawn. Nothing feels better than standing barefoot on a fresh cut lawn! So, if you need your grass cut by hardworking gentleman who take pride in their work, do so with a smile and respect to your property, then give Rock Hill Lawn Pros a call today at 803-349-4181. ​In order to have great looking landscaping and to keep it looking great, you should perform some basic lawn care practices, such as watering, fertilizing and mowing. It is also very important to make sure that the proper nutrients are getting into the soil beneath the grass. Easier said than done, as we all know most do not have enough time to accomplish in the day, without adding on "we SHOULD" perform basic lawn care such as watering, fertilizing, PLUS mowing! ​At Rock Hill Lawn Pros we have the training and "know how" to take care of your lawn and keep it looking great. If it's simply to keep your grass cut on a regular basis or to make your lawn "Yard of the month," we're up for the challenge. Give us a call today and let our landscaping in Rock Hill get the job done for you! 803-349-4181. Nothing could be finer than to live in the Carolinas! Our great states celebrate four awesome seasons and they all bring different challenges. Depending on what kind of grass that is growing in your yard or what kind of bushes and trees are in your flowerbeds, your yard is a continuous work in progress. At Rock Hill Lawn Pros we understand that you don't want to spend every Saturday working in your yard. We will work with you to give you a fair and reasonable price to service your yard for the entire year. Let's face it, it's a lot less expensive to maintain your lawn on a regular basis, than it is to clear out the jungle a couple of times a year. When you call our office, one of our friendly and knowledgeable staff will ask you a series of questions to find out exactly what kind of lawn service you desire. We will promptly set up a time to come and walk your yard with you. We will design a custom plan and suitable price specifically for you and your lawn service needs. We do not insist on contracts to keep you at the low price we offer. We know our work is done with pride and integrity, so it's not necessary for us to lock you into ongoing services..... give us an opportunity to prove to you; we give every lawn 100% effort, and stand behind our work with pride and the diligence needed to make a huge difference in our customers satisfaction of every individual job, because we know each customer will become a repeat customer. 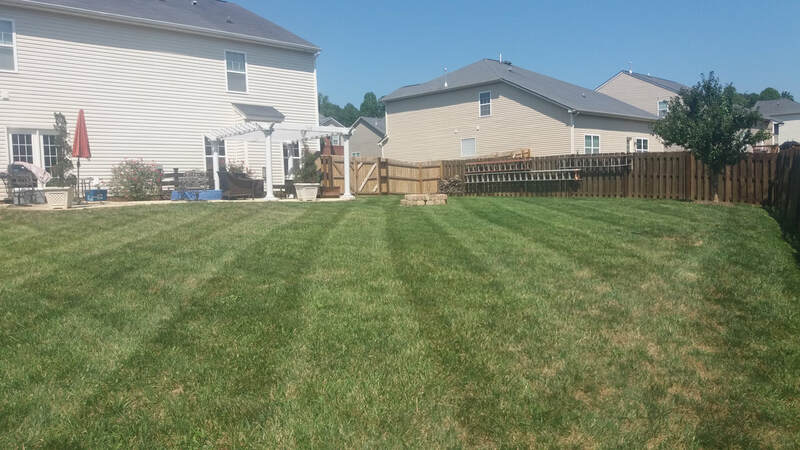 ​Our professional lawn service in Rock Hill could help you win "Yard of the Month" each and every month! ​Our friendly staff will come to your home and get straight to work. We use only the best lawn care equipment on the market. We know what it takes to keep your lawn looking picture perfect. You won't have to worry about us at all. We arrive on time and stick to our schedule. The only way that you'll know that we were at your house, is when you pull in the driveway and say "Wow, my yard looks great!" ​We love serving our clients and it shows. 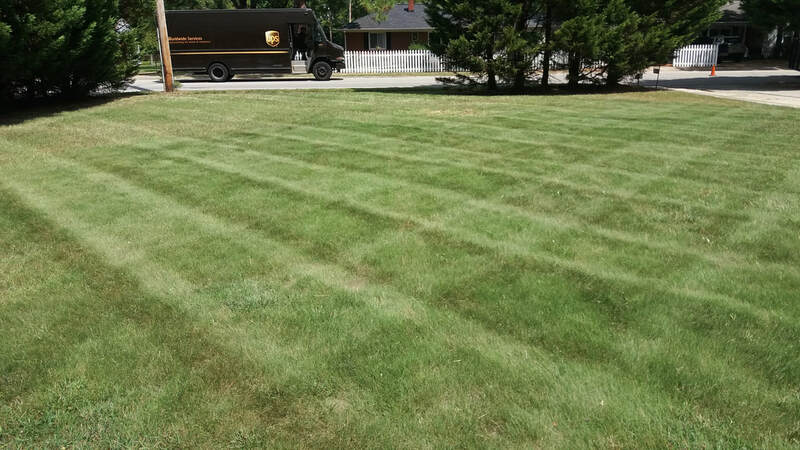 Just ask one of our many satisfied customers and you'll find out why we feel that we are the top lawn service in Rock Hill, SC. From the time that we answer the phone until the time that we pack up our lawn care equipment, you'll be glad that you called us. So call Rock Hill Lawn Pros today at 803-349-4181. The great part about serving our community is that our clients have come to love and trust us. That's why we've been able to expand our services and not only serve our residential clients but now our commercial lawn service clients as well. If you have a business, housing development, apartment complex or office complex that needs lawn care services, then pick up the phone and call us. We'll be happy to give you a free quote, with attention to any details you would like to be certain are addressed. If you love how we take care of your home, then you'll be very excited about our commercial lawn care services as well. ​You never have a second chance to make a good first impression. You want your customers and clients to see that you keep your office building and grounds well taken care of. At Rock Hill Lawn Pros we'll make sure that your office building stands out from the pack and we'll make you look great! We love mowing lawns and you want the best lawn service in Rock Hill. Give us a call today at 803-349-4981. Aeration is important. To keep it simple, aeration is the process of poking small holes in the soil of your lawn. This allows water, air and nutrients to penetrate the grass roots to help them grow deeply and will grow a tough yet beautiful lawn. Your soil becomes compacted over time and won't allow air, water and nutrients to flow through it properly. In essence, your grass is starving and needs some good food to eat, which can only be done properly by using this valuable technique. Just like feeding your body the right kinds of foods, aeration allows these elements to get to the roots and provide your grass with the proper nutrition for a healthy lawn. There is more to aeration than meets the eye. 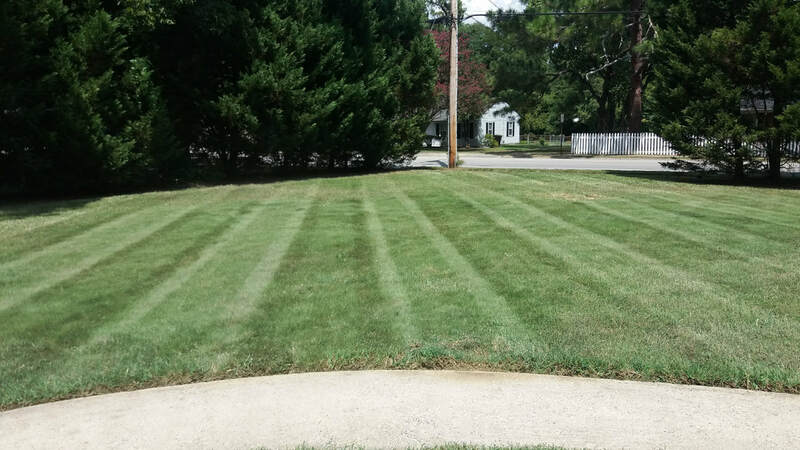 That's why when you hire Rock Hill Lawn Pros to be your lawn service in Rock Hill, you are hiring lawn professionals to handle all of your lawn care needs. We'll feed your lawn and grow it into a strong and healthy yard. Cutting and feeding your lawn helps it to become thick and strong in addition to looking terrific! You also want to top it all off with great looking mulch for your flowerbeds. Mulching serves several purposes. It is a great way to prevent weeds from growing in your beds and it also will increase the concentration of nutrients in the soil which is very important for curb appeal. ​There are different types of mulch that can be used for your yard to get the job done. So whether you are looking to mulch for weed control or as part of your total lawn care solution, Rock Hill Lawn Pros can offer the best solutions available at a great price. 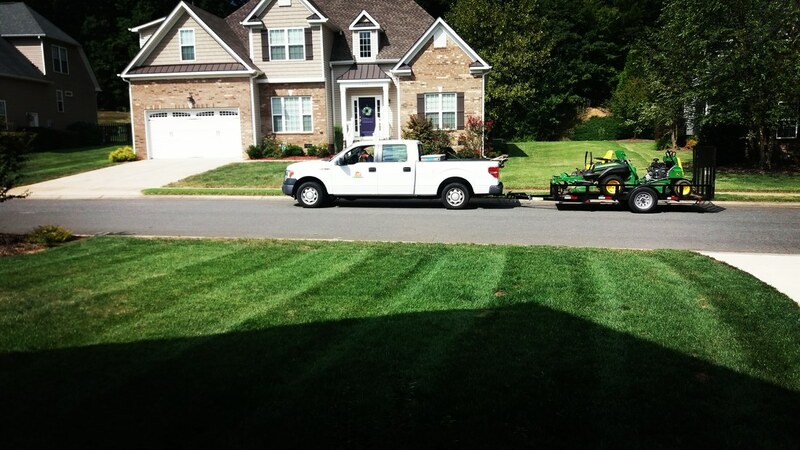 We love being the best lawn service in Rock Hill, SC and it shows! Call us today because we would love to earn your business! 803-349-4181. For all four seasons, we have regular specials to support the trends in consideration for upcoming weather changes. Call us today to learn about our current discounts and promotions, you will be so glad you did! We will save you time, we will save you money, and we will use our skills and abilities to have your lawn looking it's best!